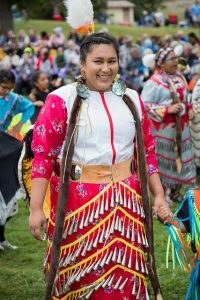 Danielle is a jingle dancer who has been dancing for 11 years. Danielle was crowned Miss St. Joseph’s. Q: Why did you want to be Miss St. Joseph’s? A: I wanted to be Miss St. Joseph’s because it would be an honor to represent my community and campus. 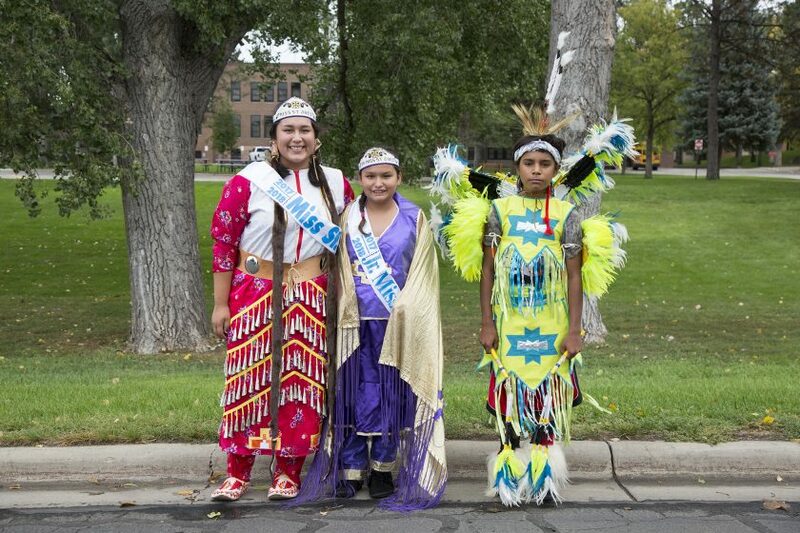 Q: At which other powwows have you danced other than St. Joseph’s? Q: How did you learn to dance? A: St. Joseph’s practice times as a child. Q: Describe what you feel like when you dance in your regalia at a powwow. A: I feel like I am at home when I dance. Dancing helps, and makes me feel better. A: I help other students with their homework. I also volunteer at Native Hope. Mersayis is a fancy and jingle dancer who has been dancing for three years. Mersayis was crowned Jr. Miss St. Joseph’s. Q: Why did you want to be Jr. Miss St. Joseph’s? A: To represent my tribe and all of my relatives. A: From LaRayne and Rachel at St. Joseph’s. A: Dancing makes me feel happy and excited. A: I am there for people who are homesick, scared or if they need a friend. 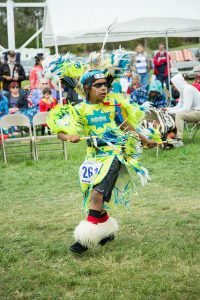 Treshawn is a traditional, grass and fancy dancer who has been dancing for six years. Treshawn was crowned St. Joseph’s Eagle Staff Bearer. Q: Why did you want to be Eagle Staff Bearer? A: Because I want to represent St. Joseph’s and my ancestors. A: My grandpa, uncle and videos from YouTube. A: I feel like a spirit looking for the way of the Great Spirit. A: I would do anything to help others – from homework, computer problems or teaching them how to dance powwow. If you were unable to attend the 41st Annual Powwow, check out our YouTube channel where you’ll find videos documenting the day. 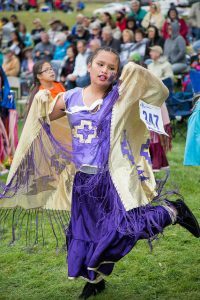 For photos, view our powwow Flickr album, or Like us on Facebook for everything in-between! very good lovely young people. Jesus blessings upon u. Thank you! We think they are pretty great, too! Thank you for sharing this wondeful story. It is very important for these young ladies, to maintain their precious heritage and you do everything in your power to help them. Thank you! Congratulations to these beautiful young ladies and to everyone else that participated. Thank you for keeping up with your heritage! We couldn’t agree more, Laura! Thank you for your kind words and for taking the time to share them. Wonderful examples of the greatness of the Spirit and solid representations of St. Joseph School and community. Curious as to who makes the regalia??? Thanks so much for the update and the videos. We would have love to seen the students in person but this is the next best thing! Please tell the students that though we don’t know them personally, we are so proud of their dancing, their academic work, and their desire to help others. Keep up the hard work and know there are so many of us who do care all across the US. Also, We (my husband and I) really appreciate the insights into the Lakota language, culture, and customs. Thank you for your comment, KJ. We’re glad you enjoy the information we share. Maybe one day you’ll be able to visit in-person and see everything and everyone for yourself!